Get your 5th night FREE on Sunday arrivals or 7th night FREE on any arrival day from Nov. 1 - Dec. 19, Jan. 1 - Feb. 7 & Mar. 24 - Apr. 22 on select unit types! 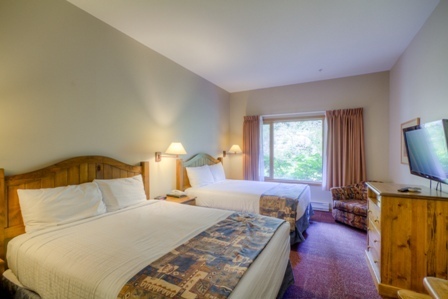 Cahilty Lodge is a family friendly condominium-style hotel with 186 newly-renovated rooms ranging from cozy traditional lodge rooms, studio kitchenettes and family suites to spacious three bedroom accommodations. All of our bedrooms have TV, DVD player, coffee maker, kettle, complimentary coffee & tea, alarm clock, full bathroom with heated tile floor, hair dryer and daily housekeeping. Kitchens are available in most of our units and we also have a secure storage room for your sports equipment. Other amenities include complimentary wireless internet, indoor/outdoor hot tubs, fitness room, sauna, on-site restaurant, mountain tours, weekly welcome receptions and showcase of Nancy Greene's medals! 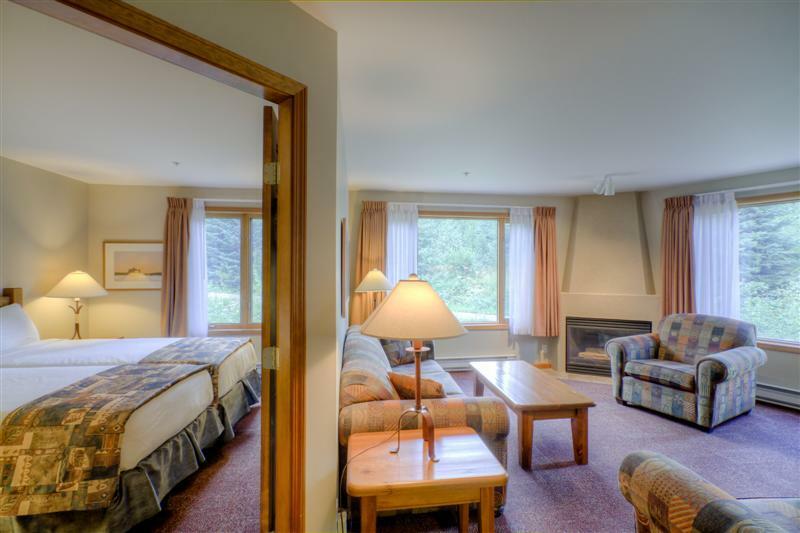 We clearly understand what it takes to make your vacations in Sun Peaks more pleasurable- and it helps to be surrounded by spectacular mountain views and only steps away from all the delightful ambiance of Sun Peaks Village and its amazing shops and restaurants. Parking is additional.